The fleet encounters dangerous life on a jungle planet. The fleet comes upon a jungle planet and sends biologist Dr. Enoch with Apollo down to investigate additional food sources to supplement the agro ship(s). They discover human skeletal remains in the jungle, speculating that this may be a lost Caprican expedition that was sent to investigate an uncharted jungle planet years ago and never returned. 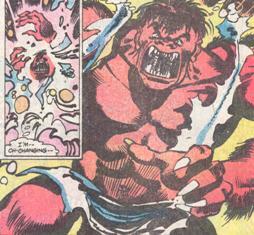 As Enoch and Apollo gather fruit samples, they are attacked by a vicious pack of red apes. Apollo stuns one with his laser and the rest flee. The two Colonials decide to take the ape back with them for study. Back on the Galactica, Enoch laments the loss of the battle skills he had when he was a young warrior. Studying the fruit found on the planet, it begins to stink as if rotten and as he is about to discard it, he suddenly becomes unable to resist the urge to eat it. 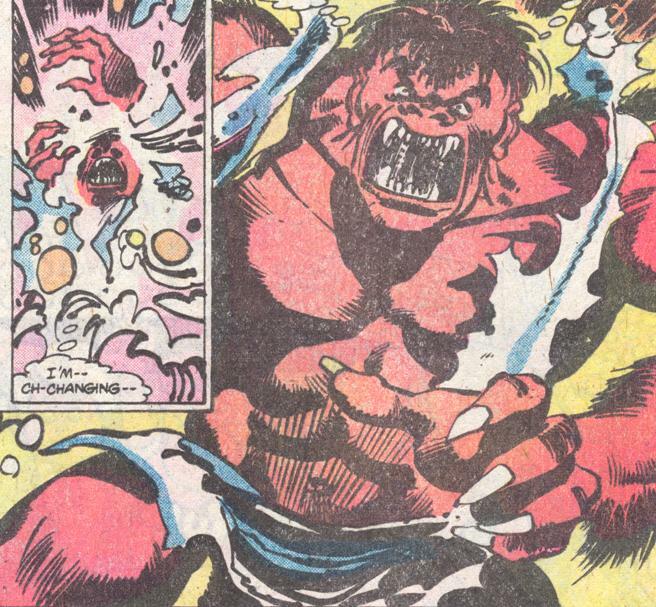 As he does, his body transforms into that of a red ape, identical to the ones on the planet. In his new form, he feels powerful and ruthless, fighting his way to the hangar bay, where he steals a Viper. Out in space, he comes across Apollo training Athena, Sapphire, and Cassiopeia in unarmed Vipers. Enoch disables the three women's' ships, forcing them to crash-land on the planet. Apollo is not far behind, but on the surface Enoch intercepts the women, telling them they are his forever. The title was probably derived from Aldous Huxley's 1948 novel Ape and Essence in which humans are recast as baboons who make war on each other. Commander Adama's log seems to give a date of 143-28-05. 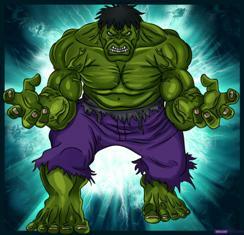 The apelike creature into which Dr. Enoch transforms is similar in transformation, appearance, strength and temperament to Marvel Comics' own Hulk. On page 14, the Council indicates that the fleet has been on the run for months. On page 17, we see that as well as the ladies we saw in training in "Into the Void", Cassiopeia is now training as a Viper pilot. Coincidentally (I guess), Apollo happens to be training all three of Starbuck's girlfriends from "The Trap"--Cassie, Athena, and Sapphire.